Confucius Institute courses are aimed at promoting Chinese culture abroad. This mainly involves (Mandarin) language lessons, but the Institute also provides broader cultural teaching. On the Confucius Institute Online portal, you can read about Chinese food, kung fu, travelling, opera and literature, for example. Check here to find the nearest Confucius Institute in your country! 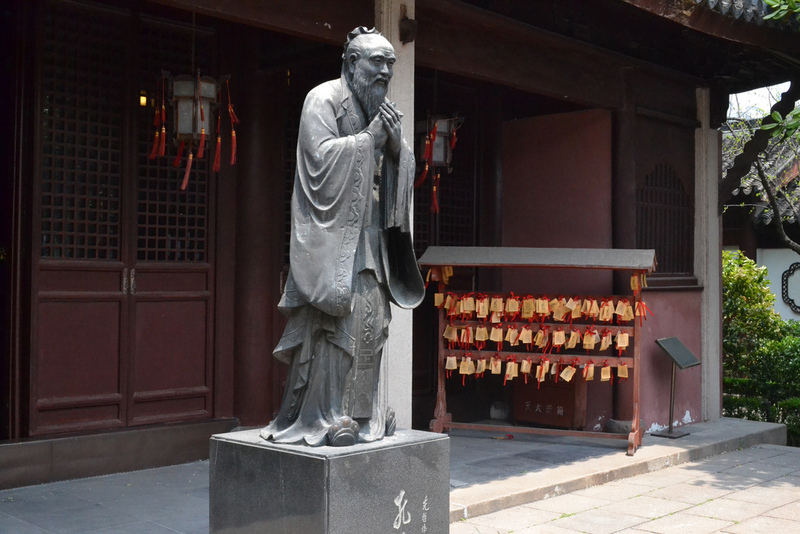 Confucius (551–479 BC) was a Chinese teacher, editor, politician and philosopher whose work has has a big influence on people's thinking in China and other parts of Asia. His works and words of wisdom are also well known in America and Europe. 1. What you do not wish for yourself, do not do to others. 2. It doesn't matter how slowly you go so long as you do not stop. 3. Everything has its beauty but not everyone sees it. 4. Wherever you go, go with all your heart. 5. Respect yourself and others will respect you.